The chairman of the Inland Revenue should resign over the sale of its property to a firm based in a tax haven, a Labour MP has said. The Revenue sold its estate of more than 600 buildings to a Bermuda-based company, and later admitted it wrongly announced the properties were sold to a UK firm. Sir Nicholas Montagu told the Treasury subcommittee in December that his department had issued misleading information and also failed to inform parliament properly. 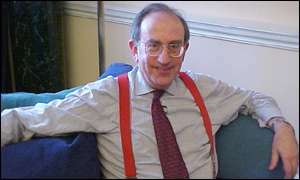 Speaking to BBC Radio 4's File On 4, Austin Mitchell MP said: "He's made fools of the government. He should go." In March 2001, the Revenue said it had signed a private finance initiave (PFI) deal with the UK-registered Mapeley Limited, transferring to it the ownership and management of the estate. In fact, the Inland Revenue had sold the properties to a Bermuda-based sister company called Mapeley Steps Limited for £220m, while paying rent to a UK company called Mapeley Steps Contractors Limited. Sir Nicholas apologised for his department failing to inform ministers that the buildings were to be sold to a company based in a tax haven before the contract was signed. Mr Mitchell told File on 4 the blunder highlighted the need for a ban on companies registered offshore from bidding for government contracts. "It puts UK companies at unfair disadvantage when there are bidders from tax havens. "Government should follow America and not do business with companies if they have offshore registration - that's a simple way to control the situation," Mr Mitchell said. The deal with Mapeley also puts into question the government's programme to get tough on tax avoidance among big businesses. Mr Mitchell added: "This government was elected pledging to crack down on tax evasion and avoidance. "It's even more important to tackle this now because the economy is in downturn and the stock market is collapsing." Listen to this edition of File On 4 on BBC Radio 4 on Sunday 9 February at 1900 GMT.